The initial feedback received by the organizers of ACHEMA 2015 paints a very favorable picture: positive event statistics, a long list of announcements on business deals and a lot of work for the sales organizations in the weeks ahead to follow up on new leads. ACHEMA attracted slightly more exhibitors this year. Visitor numbers were almost exactly the same as for the previous ACHEMA show. 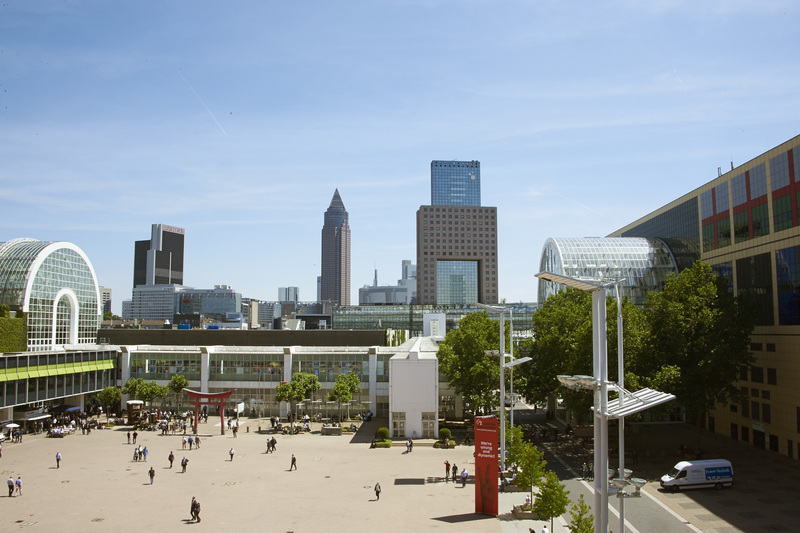 166,444 trade visitors from around the world made their way to the Frankfurt exhibition grounds on June 15th – 19th, 2015. 3,813 exhibitors from 56 countries put the latest innovations for the chemical, pharmaceutical and food industries on display. 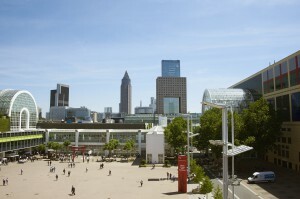 ACHEMA 2012 attracted 166,447 visitors and 3,773 exhibitors. The extensive range of new products and initial product introductions underline the importance of ACHEMA as the “world innovation summit”. “It will take us a few more days to fully analyze the visitor statistics. However, the initial figures indicate that visitor length of stay has reached a turning point,” said Thomas Scheuring, CEO of DECHEMA Ausstellungs-GmbH. “Visitors came to the exhibition grounds on more than one day. They had specific interests and they took all the time they needed to gather a large volume of information.” Initial trends indicate that the proportion of international visitors has risen by a significant margin. Also for the first time, more than half of exhibitors (53.9%) came from outside Germany. China was second in the exhibitor number rankings behind Germany and was ahead of Italy by only the narrowest of margins. There was also a substantial increase in the number of companies from Turkey, Taiwan and India. Austria, the UK and Spain showed the largest increase in the EU region. France and the US were again well represented. 133,436 m² of exhibition space was divided up between 11 exhibitor groups. Growth was particularly noticeable in the pharmaceutical, packaging and warehouse logistics industries, which booked additional space this year, as well as in the instrumentation and process control category. This latter group benefited from the unmistakable tendency in the process industry to further increase the level of automation as well as from user demand for greater flexibility, both of which come under the umbrella of Industry 4.0. Equipment manufacturing along with lab and analysis systems, however, showed a slight decline. The congress program was also well received. “Our efforts to streamline the program and avoid parallel sessions dedicated to similar topics were well worth the effort," claimed DECHEMA CEO Prof. Kurt Wagemann. “That made it much easier for visitors to arrange their agendas." Despite the streamlining, the roughly 800 presentations covered the full spectrum of process technology. The sessions dedicated to the focus topics were very well attended, and material technology also attracted a large audience. An above-average number of visitors attended the sessions on heat exchangers and energy efficiency. The two panel discussions "Bioeconomy in the Shale Gas Trap?" and "German Energy Turnaround – the Future or No-Man’s Land" were genuine highlights and attracted a full house. One issue outside the boundaries of the focus themes BiobasedWorld, industrial water management and innovative process analytical technology surfaced as a common thread in all of the discussions, namely Germany’s positioning as an innovation hub. Many industry experts have concerns. Germany and Europe are in danger of falling behind as attractive business locations unless there is genuine improvement in the innovation climate. The warning was issued by a number of high-profile industry figures at ACHEMA. At the opening press conference on Monday, VCI CEO Dr. Utz Tillmann among others expressed the need for a better innovation landscape and an "innovation culture". At a panel discussion on Tuesday, Wolfgang Büchele, who is Chairman of the Board at Linde, emphasized the need for a greater willingness to embrace change. Otherwise, innovation will happen in other parts of the world and not in Germany and Europe. In his keynote talk on Thursday, Bayer Technology Services CEO Dr. Dirk van Meirvenne urged the chemical industry to concentrate on innovation. The next date on the event calendar for the process industry is AchemAsia which will be held in Beijing on May 9th – 12th, 2016. The next ACHEMA is scheduled to take place on June 11th – 15th 2018 in Frankfurt am Main.